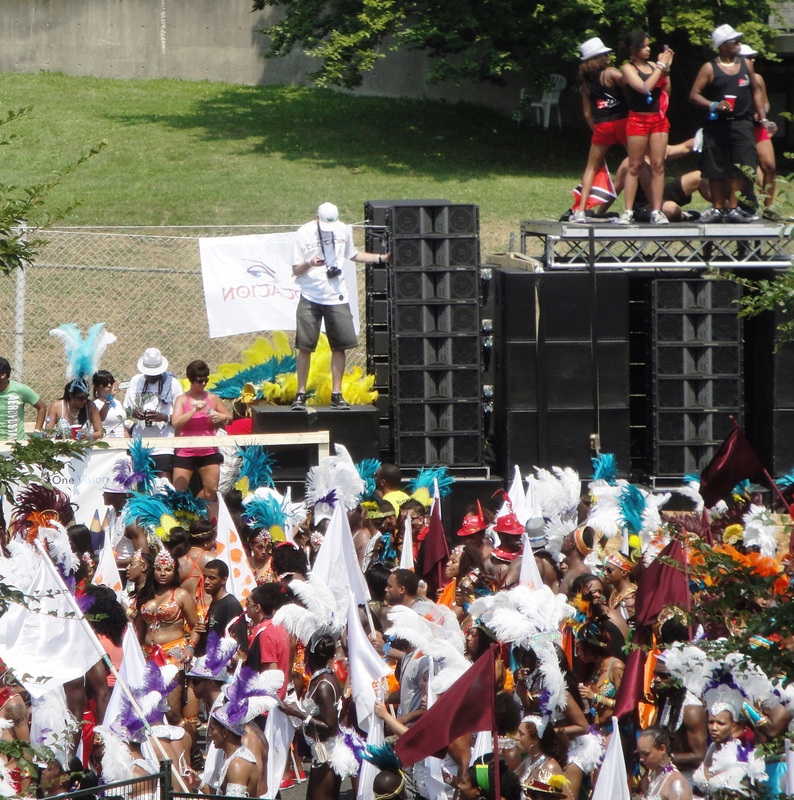 Caribana festival; grinding and wining in Toronto. In July 2012 I went to Canada to attend a dear friend’s wedding. 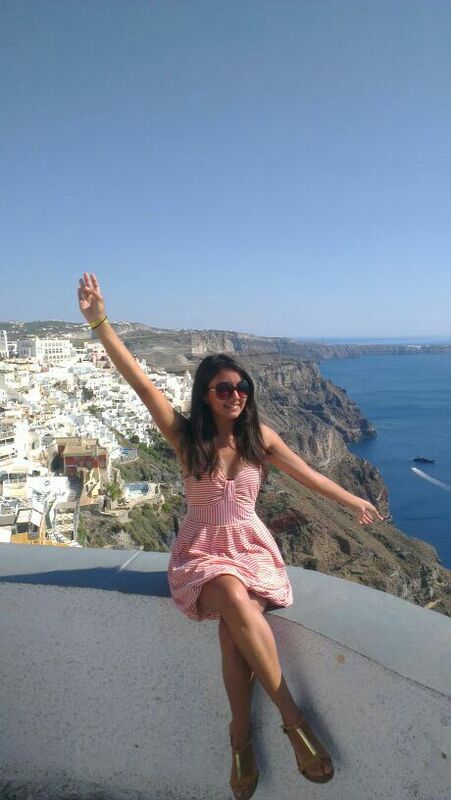 I was very excited to go back to Toronto and this time experience the summer, which I had always heard was amazing and fun. So I spent my one month Chilean winter vacation enjoying the Canadian summer. I visited Montreal, went for free concerts in downtown Toronto and visited some beaches and other “summery” places that I couldn’t see during the winter time. 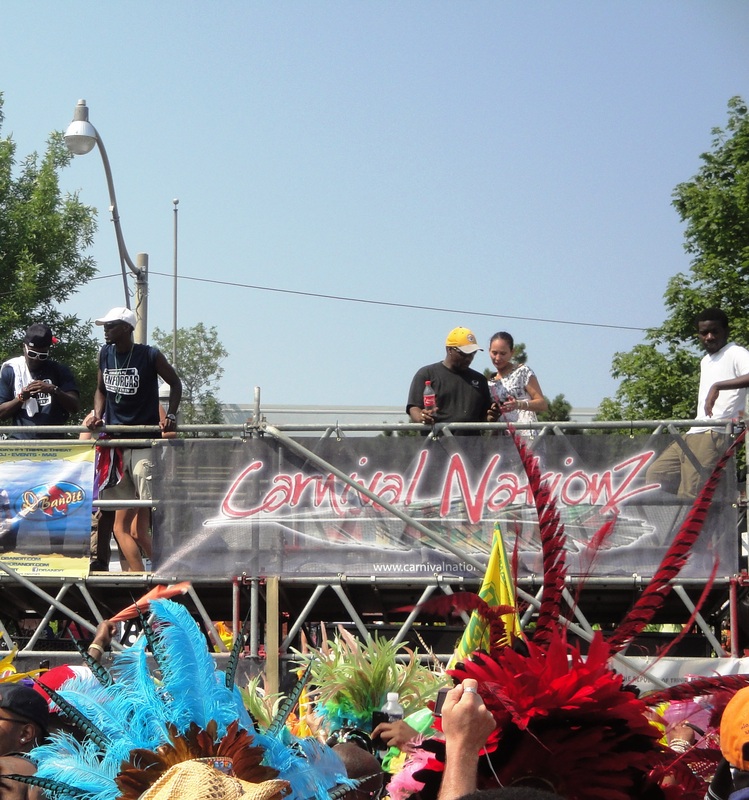 Many fun activities and events go on during this time in Toronto, but one of the most fun weekends I had was when I went for the “Caribana” parade. The parade is the culmination for what is known as the Caribana festival, which celebrates the culture and traditions of caribbean countries. So you can expect jerk chicken and other yummy food, soca and calypso music and girls in skimpy costumes, oh and of course wining and grinding happening all around you. Now all of these elements in one place is pretty amazing. 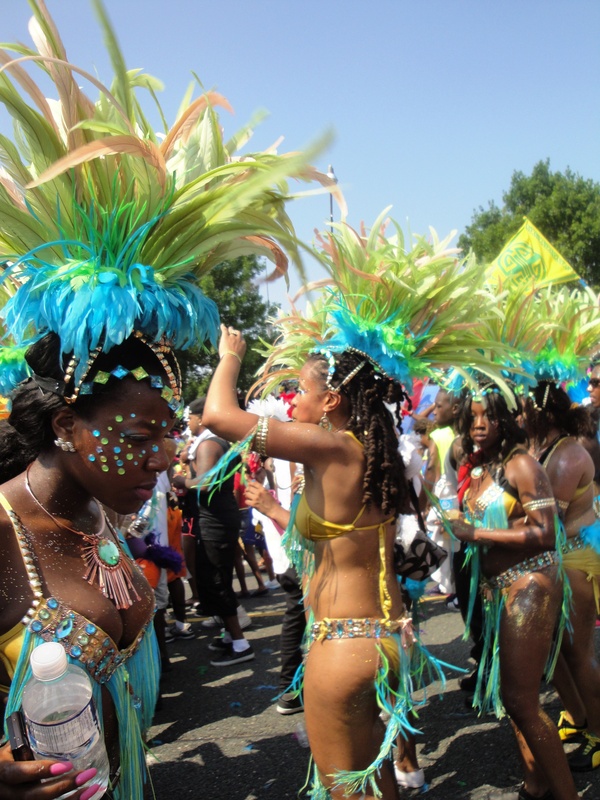 The parade is Northamerica’s largest Caribbean parade. It starts early in the day with all the Masquerade Bands that will be competing gathering at Exhibition place , then they dance along a 4.5km route in beautiful costumes and props, while trucks serve as moving clubs blasting music and carrying entertainers that will cheer the crowd up. “Where’s all my Trini, Jamaican,St. Lucia,- etc- people at ?”- they would shout and I would “ woohoo” back pretending to be Trinidadian in honour of my Trini friends. To be a part of one of the Mas Bands you have to pay to get your costume, but for my first time I had the best time walking alongside the parade and getting a bite to eat. At one point we crossed the fence to dance along with the Mas Bands, I don’t think it’s really allowed but everyone does it. At this point I had no choice but to dutty wine :p.
That very same weekend was Drake’s Ovo Fest concert, for which I couldn’t get tickets-and will forever regret having missed it- but we stayed at the Sheraton hotel downtown to celebrate a friend’s birthday. Our first stop for the night was Panorama. 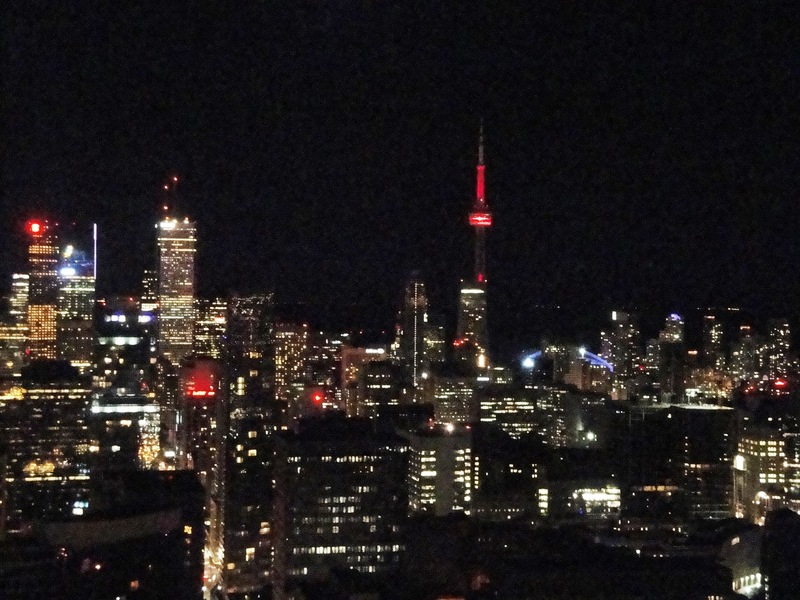 This restaurant is on the 51st floor of a building in dt Toronto and offers a spectacular view of the city, but service wise I wasn’t impressed, so we only did one tequila shot, took a few pictures and continued our night. This year the parade will take place on August 3rd and start at 10 am at Exhibition Place, so if you are planning a visit to Toronto around this time, stick around for this, it’s definitely a fun and crazy time and the night offers plenty of good parties too.